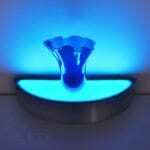 We design and manufacture high quality custom L.E.D. 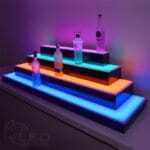 lit Bar Shelves & L.E.D. 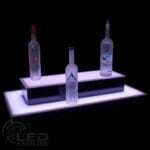 illuminated Furniture for Home Bars, Restaurants and Nightclubs. 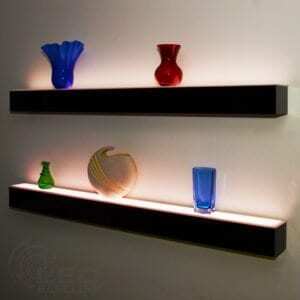 Whether it’s your favorite bar’s LED display shelves, or a lighted LED display stand for your collectibles, LED Baseline’s lighted bar shelves, furniture and tables make a striking impression in any room. 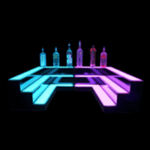 When you want to create a uniquely lit atmosphere for any nightclub or home bar, LED Baseline’s display shelves, tables, and furniture can deliver. Our tiered LED display shelves and LED furniture designs are created with durability and function in mind, and are available in a variety of styles. Our products include floating LED display shelves, curved LED shelves, corner LED shelves, LED bar counters, LED cube tables, and more. LED Baseline, Inc. provides manufacturer-direct LED shelving and LED furniture sales, as well as custom LED design-build services. We guarantee you will receive the most durable, function-friendly LED display shelves, LED furniture, and LED tables on the market. Our mission is to exceed your expectations in product quality and customer service. 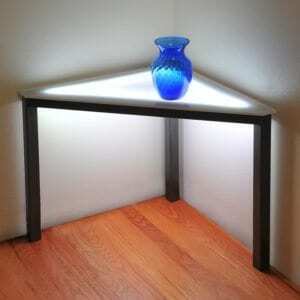 LED Baseline offers free standard shipping on all of the items we produce at our warehouse! 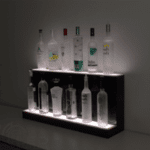 Check out our product pages to customize your display shelf today and our master craftsmen will build your lighted LED bar shelves or custom wall shelves to your specifications and safely ship it anywhere in the Continental U.S. for free! Some items require freight shipping due to size – we will contact you to arrange shipment after you complete your order. 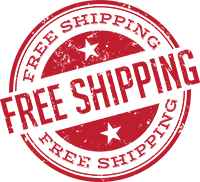 Check out our selection today, or find out more about our shipping policies by visiting our support page. 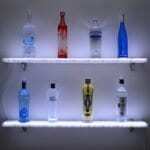 Configure & Order your Custom LED Lighted Bar Shelf Today – It’s easy and we offer the best prices! 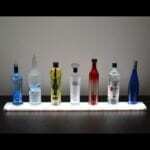 Choose the style of bar shelf that you need. We offer Standard LED Display Shelves, LED Floating Shelves, Low Profile Shelves, High Profile Shelves, Island Shelves, Return Style (Wrap Around) Shelves, and Corner Shelves. Choose the length of shelf you need. 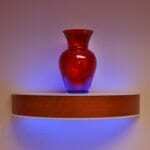 We offer shelves from 16″ to 96″ in length. 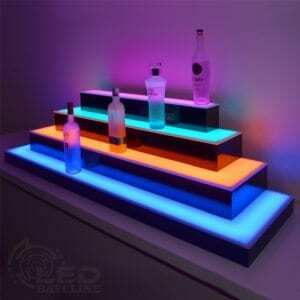 Choose of the number of steps/tiers you need on your LED Bar shelf. We offer shelves from 1 step to 5 steps. Choose an optional custom finish. Our standard finish is black, however, we offer optional finishes in many colors, wood grains, real woods, and metals. You can review and choose when ordering. If you’d like to see previews of the different options on our custom finishes page. You can upload a company or personal logo or graphic to have machined on the front of our bar shelves. 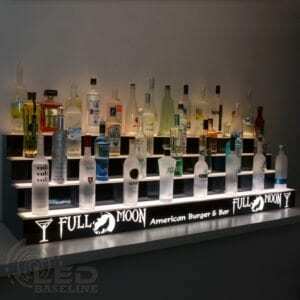 Remember always FREE SHIPPING at LED Baseline on all bar shelves. 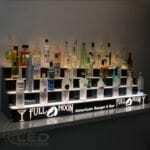 THANK YOU for ordering your custom LED Lighted Bar Shelf for your Home Bar, Restaurant, or Nightclub. 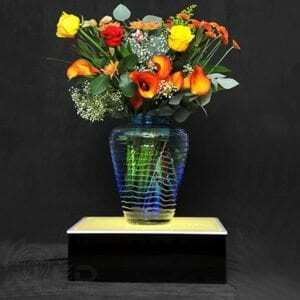 Please see our wide selection of LED Lighted Furniture and Display Stands.